Discover adorable personalised pet gifts from our curated collection! Your pets provide you with love and affection, and what better way to thank them than with a personalised pet gift? 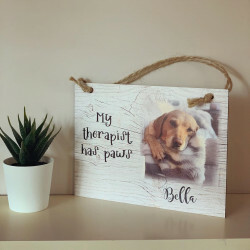 Whether you’re a lover of dogs, cats, birds, hamsters, or any other pets, you can find a beautiful range of pet gifts that can be personalised the way you want. 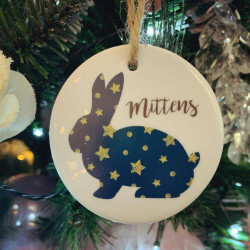 If you’re looking for the perfect gift for a pet lover, then they are sure to love these cute and unique personalised items. 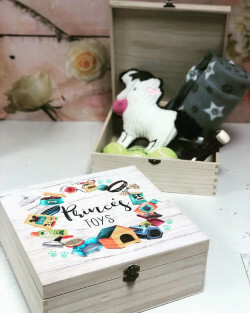 These personalised pet gifts also make amazing presents for all types of special occasions, such as birthdays, new home, and more. 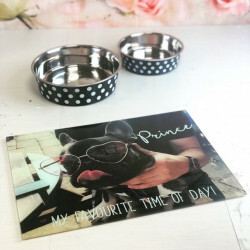 Our range of gifts includes anything from personalised pet photo dinner mats to personalised pet treat boxes. 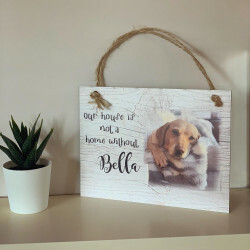 Browse our range of personalised gifts for other pets above. 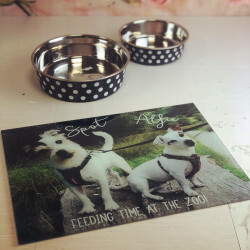 Why Choose Our Personalised Gifts for Pets? Our range of gifts is suitable for a variety of pets, such as dogs, cats, and hamsters. We are also constantly adding new products to our pet gift range so keep an eye out for new products that your pets might love. We can personalise the item with your choice of text and depending on the item, you may even be able to add a special message or even a photo. At Made With Love & Sparkle, we have years of experience and expertise in handcrafting beautiful gifts that can be personalised to your preferences and for any special occasion. We not only design these gifts to look amazing, but they are also handled with care. 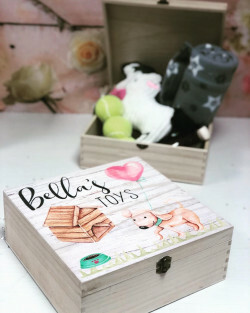 When you order a bespoke personalised gift for your beloved pet, you can not only benefit from our craftsmanship and experience, but you can also take advantage of our UK-wide delivery. Wherever you are in the UK, we can deliver your gift to your door.